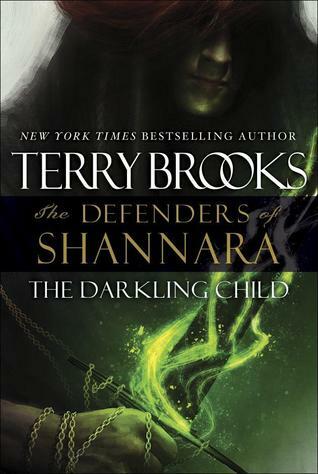 The Darkling Child is another solid installment in Terry Brooks long-running Shannara series. No, it doesn’t vary far from its predecessors in scope or tone, but if you enjoy classic fantasy with a young adult feel, then this novel will definitely satisfy you. Set five years after events in The High Druid’s Blade, Paxon Leah is now a well-respected paladin of the Druid Order; his role that of a trusted protector to the druids; and his weapon to ward off evil the Sword of Leah passed down to him from his forefathers. Standing opposite this bulwark of goodness is the dark wizard Arcannen, who might not be as powerful as he once was, but who is still an evil force to be reckoned with due to his cunning and powerful sorcery. And caught directly in between them is a young man named Reyn, who possesses a powerful magic that he does not understand and which Arcannen desperately wishes to obtain control over! Sounds fairly simple, I know, but despite its basic, triangle dynamic, there is a degree of suspense throughout the narrative due to the unclear nature of Reyn’s power, the unexplained use Arcannen intends for him, and the machinations of a young woman who might or might not be manipulating both Reyn and Arcannen. Added to this, Mr. Brooks transforms both Arcannen and Paxon, changing them from clear representatives of good and evil into more three dimensional characters; their individual personalities clearly having evolved during the intervening five years and their motives making each easy to empathize with. All of which means The Darkling Child is an entertaining read, but it still has flaws, though in the scope of things, they might be more correctly labeled personal preferences on my part than missteps by Terry Brooks. First, this story is, at its core, still a standard quest fantasy. Here each of the main characters is on his own quest. Paxon Leah is on a quest to find and persuade Reyn to join the druids. Arcannen is on a quest for revenge that leads him to find and persuade Reyn to join his cause. And Reyn himself is on a quest to evade capture and learn how to use his powers. Quest, quest, and quest. Second, like many Shannara tales, this is a coming-of-age story. Where book one of the series was about a young, naive Paxon Leah who had a magic sword thrust upon him and had to overcome obstacles in his path to control it (Arcannen was the obstacle there as well. ), here Terry Brooks has merely inserted young Reyn into that same role. Obviously, there are distinct differences in Paxon and Reyn’s journey, but they are both coming-of-age tales. Lastly, the main characters are really striking in their naivete. Reyn’s missteps can be overlooked to a certain extent (though his instant infatuation and sudden love for a young woman is a bit difficult to swallow), but the older, more experienced Paxon’s head scratching choices are really mystifying. Even Arcannen, who acts much more adult-like than his co-stars, does some bizarre things that brand this tale as clearly a young adult story. Even having struck a cord with several of my personal pet peeves, I still found The Darkling Child to be a superior book to The High Druid’s Blade in almost every way. The ongoing personal conflict between Paxon and Arcannen was more well-developed; their individual personalities were more complex; Reyn was a nice addition to the cast; and a final confrontation between all the parties has been neatly foreshadowed for the next book. So, if you enjoy Terry Brooks or classic fantasy, I’d encourage you to give this one a try, because it will not disappoint but entertain. 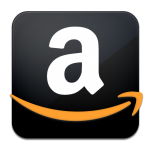 I received this book from Del Rey and Netgalley in exchange for a fair and honest review. I’d like to inform everyone that the review you have read is my opinion alone. This entry was posted in 3 Stars, Fantasy, High, Young Adult and tagged new fantasy series, Shannara, Terry Brooks, The Darkling Child, The Defenders of Shannara. Bookmark the permalink.